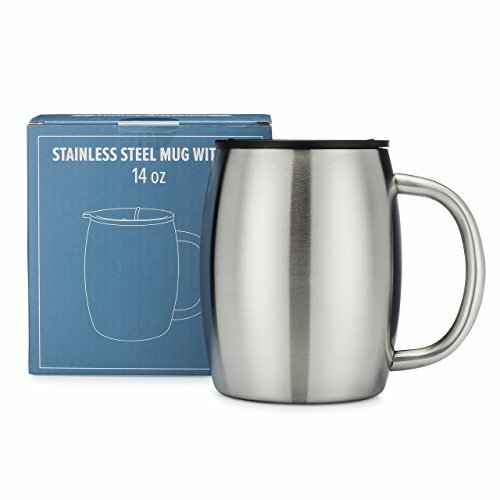 KEEPS YOUR DRINKS HOT OR COLD - Double-walled mug design provides an air seal which keeps your coffee hot or your beer cold. When filled with a hot drink, the outer wall will stay cool to the touch. When this thermal cup is filled with a cold drink, you won't get condensation or sweating on the outer wall.